Last year, EA Sports benched its NBA series and watched rival 2K Sports capitalize on the absence by featuring arguably the greatest basketball player of all time, Michael Jordan, in NBA 2K11. Turnabout is fair play, so with 2K Sports sending its NHL series to the showers for this season, EA Sports today announced that NHL 12 will feature arguably the greatest hockey player of all time, Wayne Gretzky. This marks the second time the Hall of Famer has been prominently featured in an EA game, as he served as cover athlete for last year's NHL Slapshot on the Wii.The Great One in his office. Throughout his career, the Great One was known as much for his team play as individual accomplishments (he has more career assists than the next highest-scoring player, Gordie Howe, has goals and assists combined). So it's only fitting that EA Sports is bringing him into the game with a worthy supporting cast of his fellow NHL legends. The publisher will feature eight other former players in the game, with big-time blueliners Ray Bourque and Chris Chelios the first revealed. The legends won't just be for show, either. EA Sports is featuring them in the new Be a Legend mode, which challenges players to match up to their namesakes' accomplishments over the course of a Be a Pro career. Players will also be able to add the game's greatest players to their roster in Be a GM, Hockey Ultimate Team, and Battle for the Cup modes or try them out in exhibition and online games. Apart from the legends, EA Sports has updated this year's version of the series with a new "Full Contact" physics engine. The publisher aims to increase realism in the game, adding in such features as goalies that can be interfered with more realistically, as well as net battles. EA Sports has also added new events, such as the 2011 NHL Winter Classic, which will be played at Heinz Field in Pittsburgh, and it has revamped the Be a Pro career mode. 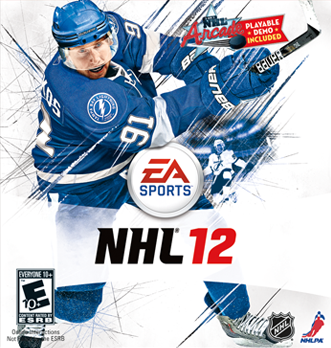 An Xbox 360 and PlayStation 3 downloadable demo for NHL 12 will be available worldwide beginning August 23, with the game itself launching September 9 in Europe and September 13 in North America.